"Thinking with Chess: Teaching Children Ages 5-14" is a handbook for teachers, librarians, after-school instructors, chess coaches, counselors, and parents that requires no prior knowledge of the game. Both novices and veteran chess players can use its innovative lesson plans for teaching groups of children. 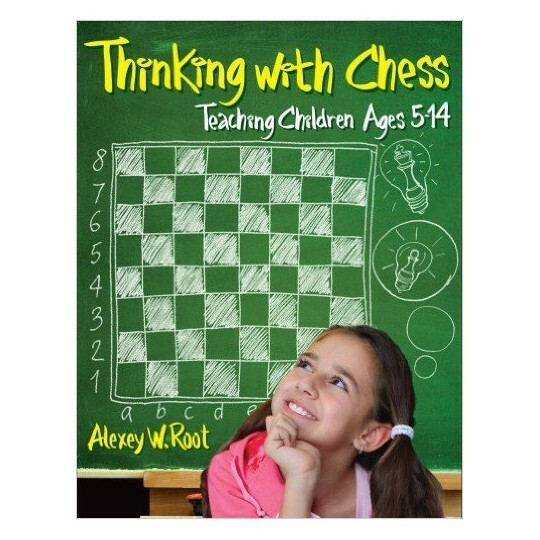 In this book, Dr. Alexey Root connects chess with skills important to academic success, such as classifying, pattern recognition, decoding, creating, and predicting. The book also introduces challenges for practicing divergent thinking and puzzles for convergent thinking. "Thinking with Chess" teaches not only the fundamentals of chess – the chessmen and how they move, how to keep score, and where to play – but also tools useful in winning games, such as double check and smothered checkmate.